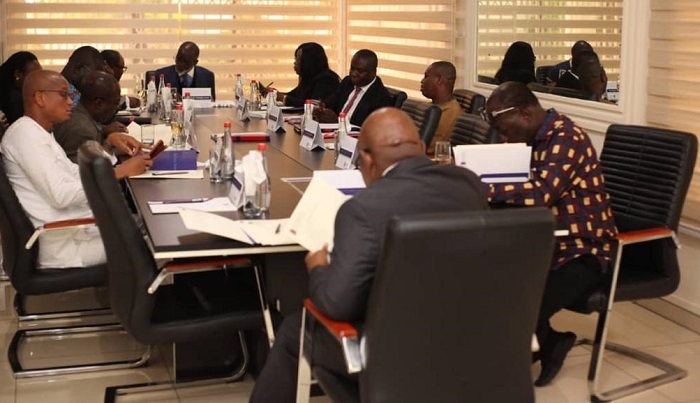 A policy analysis think-tank, Danquah Institute (DI), has re-constituted its board with the names of some influential personalities in the country. The 18-member board of the think-tank, which is aligned to the ruling New Patriotic Party (NPP), has the Speaker of Parliament, Professor Mike Aaron Oquaye, as chairman. It also includes gurus like the party’s chairman, Freddie W. Blay, and General Secretary John Boadu as members. Other members are Prof. Angela Lamensdorf Ofori-Atta; Education Minister, Dr. Mathew Opoku Prempeh; Chief Executive Officer of the Ghana National Petroleum Cooperation (GNPC), Dr. K.K. Sarpong; Chief Executive Officer of the Enterprise Group, Keli Gadzepo; Veteran Journalist and former Minister Elizabeth Ohene and Oboshie Sai Coffie, a former Minister of Information. The rest are Sophia Kokor; Gideon Boako, Gabby Asare Otchere-Darko, who is the brainchild of the institute; Zongo and Inner City Development Minister Dr. Mustapha Hamid; Dr. Kingsley Nyarko of the National Accreditation Board; Edward Kwaku Asomani; Nana Attobrah Quacoe who is a past director of the institute; Mansa Williams and Dr. Agyenim Boateng.